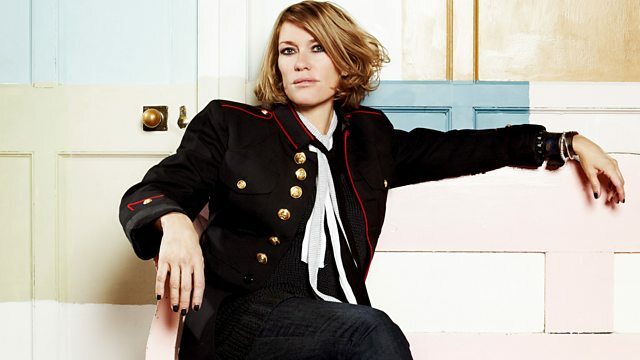 Cerys shares more gorgeously eclectic music with a nostalgic focus on top television theme tunes. Cerys shares more gorgeously eclectic music, with a particularly nostalgic focus on top television theme tunes this week. She'll be joined by the musician, comedian, documentary-maker and TV theme aficionado Rich Morton. His personal favourites are firmly rooted in the in the 60s and 70s, with shows including The Persuaders, The Avengers, Hawaii Five-O and Mission Impossible. Cue those opening credits! TV Land Presents Favorite TV Theme Songs. A Shining Symbol The Ultimate Collection. One Night on Earth: Music from the Strings of Mali. Jazz, Folk Songs, Spirituals & Blues. Let Me Tell You About The Blues Memphis. Swing Musik aus Deutschland, Vol. 1. Whine And Grine Club Ska '67. The Dancers At The End Of Time. Tony Christie - Definitive Collection. The A To Z Of British TV Themes Volume 3. The No 1 Sci-Fi Album CD2. Thunderbirds & Other Top Sixties TV Themes (Volume 2). The A To Z Of British TV Themes Volume 2.
he Sensational Guitars of Dan and Dale: Batman and Robin. This Is Cult Fiction Royale. Sounds From A Bygone Age Vol.4. Will The Circle Be Unbroken. Good News: 22 Gospel Greats. Johnny Hallyday: Anthologie Volume 2.